Step into the depths of Yarrangobilly Caves and you’ll discover stalagmites, stalactites and delicate decorations like shawls and cave corals. 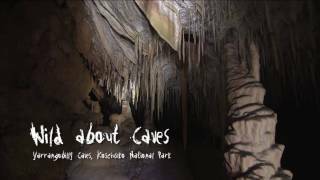 Explore six caves created from a belt of limestone laid down about 440 million years ago in Koscuiszko National Park. The largest cave, called South Glory, with its lofty chambers, presents a unique opportunity to explore on a self-guided tour. The other caves, including Jersey and Jillabenan, are guided Discovery tours that run three or four times daily (closed Christmas Day). Tickets can be purchased from Yarrangobilly Caves Visitor Centre. Come properly prepared for adventure: sturdy, enclosed shoes are a must and the caves are very cool, so bring a jacket even in the warmest weather. You’ll also want to bring your swimmers because once you’ve explored what’s below ground, you can take the short walk along Yarrangobilly Caves - River walk to the thermal pool above ground. Year-round, it stays at a constant 27ºC, and there’s something quite magical about paddling here in the midst of winter when snow can lie around its edges.